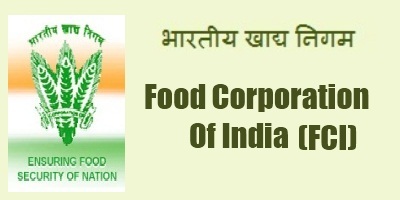 Food Corporation of India (FCI) has announced advertisement for FCI Recruitment 2015, to fill JR Engineer & Other 4318 vacant post in the department through the help of this recruitment process. All the eligible job seekers who are eligible and looking for latest government job have good chance as well as great opportunity to apply for this FCI recruitment by filling online application form before the specified or last date to fill form and that is apply before 17th march 2015 through official website link. So go through the whole post to have more detailed information related to food corporation of India recruitment 2015 for Jr. Engineer and other total 4318 vacant posts, so check below section like for selection procedure, total post for particular position, salary scale, education required, important dates and instruction required before applying for this recruitment. Candidate who wish to apply for this recruitment process must have Post Graduate/ Graduate/ Engineering degree in the related discipline from any recognized university or institution with good academic score too. All interested and eligible applicant must have to or pay or deposit application fee of Rs. 350/- through the SBI Internet banking service or by the help of e-challan or use Credit card to for apply online application form submission process. Candidate can be selected via the process of Trial Test and after that Interview and in the end they will Verify your Original Documents. Applicants have to visit official site of FCI “www.fcijobsportal.com”. In home page section candidates have to choose proper link for which post you wish to apply for. Then fill the online application with full accuracy and with all important required details. Submit your payment fee via offline or online mode which you want to prefer. And in last have hard copy of application. sir how will i do my online payment for jr. engg post…. I finish the form fill up for jr engg.that time show the payment mode and give me a payment reference number..i closed this page.now i want to payment..but i cant find this page where i will do online payment..plz help me..
Hi Biswajit, After filling your jr engg. recruitment from it will automatically ask for payment mode and you have to select which one you want to prefer and for online, you can simply used to submit the described fee.